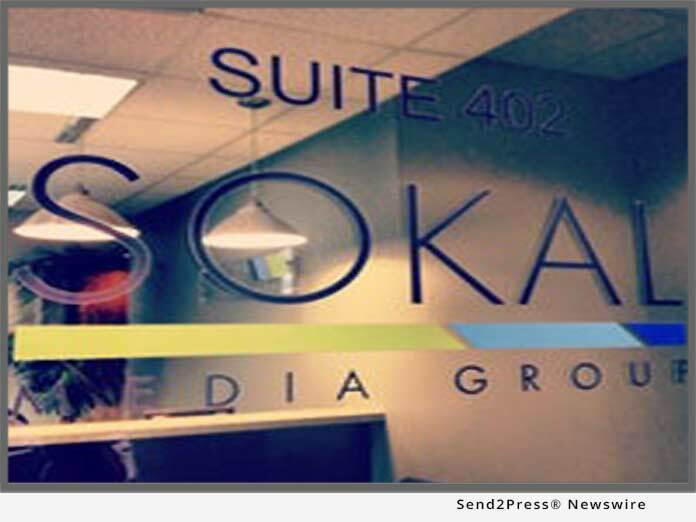 DALLAS, Texas, Mar 09, 2018 (SEND2PRESS NEWSWIRE) — Sokal Media Group is opening yet another new pristine office in Dallas, Texas. Hired as the new VP of Operations, John McKay will step in to his new role as the agency continues to expand. Accumulating years of experience, Mr. McKay previously worked as the General Manager of Spectrum cable (formerly Time-Warner cable) in Raleigh, and most recently in Dallas. Launching the new office in Dallas will give local car dealerships a taste of what many other dealerships have found in Sokal’s high standards and wide array of advertising offerings. Beginning Friday, February 23, 2018, their new location is: 13155 Noel Road Ste. 900, Dallas, TX 75240; 972-918-5164. With headquarters in Raleigh, N.C. and offices in Mooresville, N.C. Sokal Media Group is the area’s largest advertising agency focusing on automotive advertising. Sokal Media Group is dedicated to growing business for their clientele through multiple marketing and advertising services. As a full-service agency, they manage the entire project from start to finish. They execute everything from media buying, radio and television production, ad design, direct mail, search engine marketing, website design, website maintenance, and much more. The Sokal Media Group staff includes 102 employees from Account Executives and Account Coordinators, to Media Buyers, Digital Strategists, Website Developers, and Graphic Designers. Currently Sokal Media Group manages 473 clients along the East Coast. For more information on Sokal Media Group visit http://www.sokalmediagroup.com/.